In my near-constant search for interesting old news, tidbits, and photos to share here on the blog, I hit the jackpot today. In just one of its many, many photo collections, the Library of Congress has more than 10,000 (yes, there are four zeros there) digitized news-agency photos covering the years 1910 to 1915. 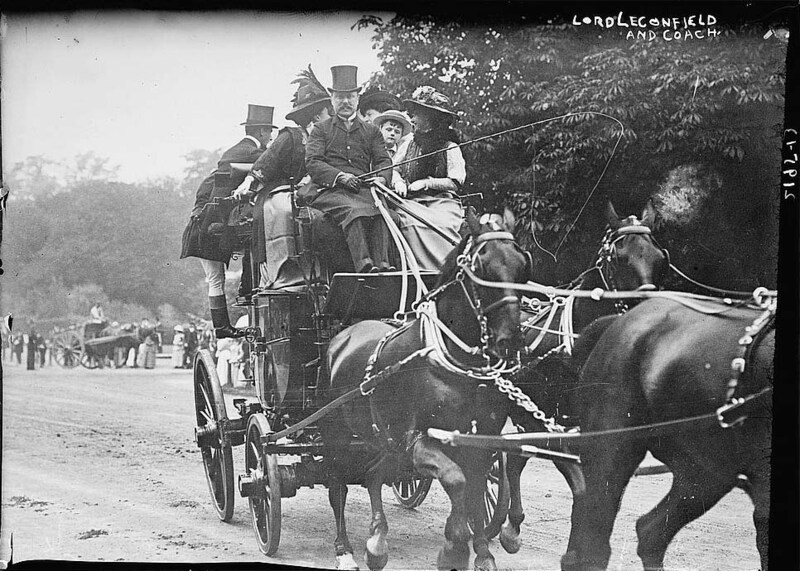 The whip in this c. 1910 photo is Lord Leconfield, who is also mentioned in this brief article from the April 16, 1911, issue of The New York Times.